إذا كنت تبحث عن فندق بموقع جيد في المدينة، فقد وجدت ضالتك في Rhythm of the Waterfalls - Resort Apartments . يمكن من هنا للضيوف الاستمتاع بسهولة الوصول إلى كل ما تقدمه هذه المدينة النابضة بالحياة. يوفر الفندق بفضل موقعة الجيد وصولاً سهلاً إلى أهم معالم المدينة.
. يقدم Rhythm of the Waterfalls - Resort Apartments خدمات لا غبار عليها وكل أشكال اللياقة وحسن الضيافة اللازمة لإسعاد ضيوفه. إن واي فاي في المناطق العامة, صف السيارات, التوصيل من وإلى المطار, غرفة عائلية, خدمة غسيل الملابس هي جزء فقط من الخدمات التي تميز Rhythm of the Waterfalls - Resort Apartments عن باقي الفنادق في المدينة. بالإضافة لهذا، تتضمن كل غرف الضيوف مجموعة واسعة من وسائل الراحة . بعض الغرف توفر حتى تلفزيون بشاشة مسطحة, سجاد, قهوة فورية مجانية, شاي مجاني, مرآة لإرضاء أكثر الضيوف تطلبًا. صممت خدمات الاستجمام في الفندق والتي تتضمن مركز للياقة البدنية, حمام سباحة خارجي, سبا, تدليك, مسبح (للأطفال) لمساعدتك على الاسترخاء والراحة. إن Rhythm of the Waterfalls - Resort Apartments هو خيار ذكي بالنسبة للمسافرين، فهو يوفر إقامة هادئة ومناسبة للاسترخاء. Was difficult having 2 guests to share 1 key (which if you lock it inside is the only key). Close to airport - still not really walking distance to the city. Beautiful pools, no on site restaurants. Superb amenities! Felt like home. Complete facilities like kitchen, laundry area etc. I stayed with a friend and his wife for a full 6 days. We were both joining Ironman Cairns so we needed a quiet relaxing place that's still near the city center. The self service apartment really fit the bill. It was beyond what we expected. It had everything we needed - large, immaculately clean rooms, LCD TV (it was NBA season too), well-appointed kitchen, two dining areas (it's huge!) with one on a veranda, washer/dryer in the laundry area plus all the things you need to be self-sufficient I.e. pots, pans, glassware, plates etc. All we had to do was go shopping for groceries to fill the fridge which by the way had some token items inside - which I felt was rather thoughtful. Totally satisfied with the apartment. Will use it again next time I'm in Cairns and definitely recommend it for groups of three or more. 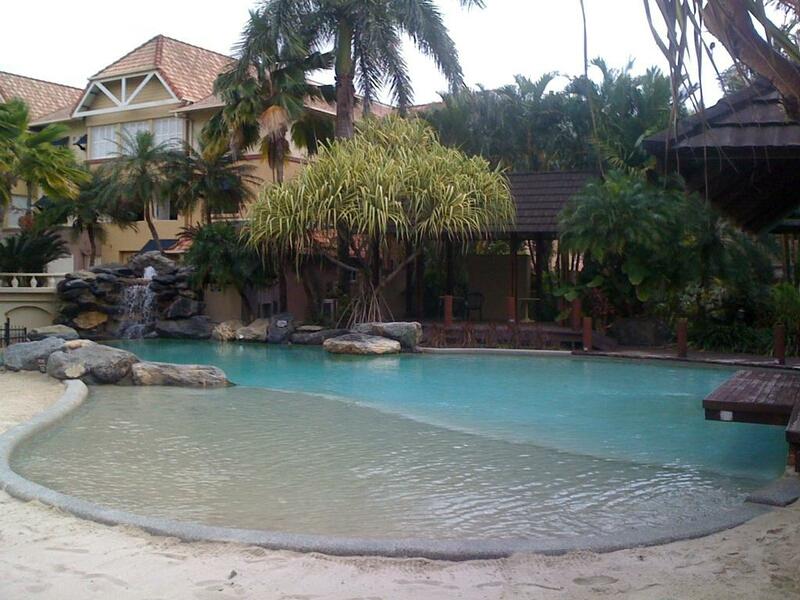 Apartment fitted the 5 of us in easily, was in excellent condition, overlooked 2 pools. Easy, safe parking. Helpful staff. 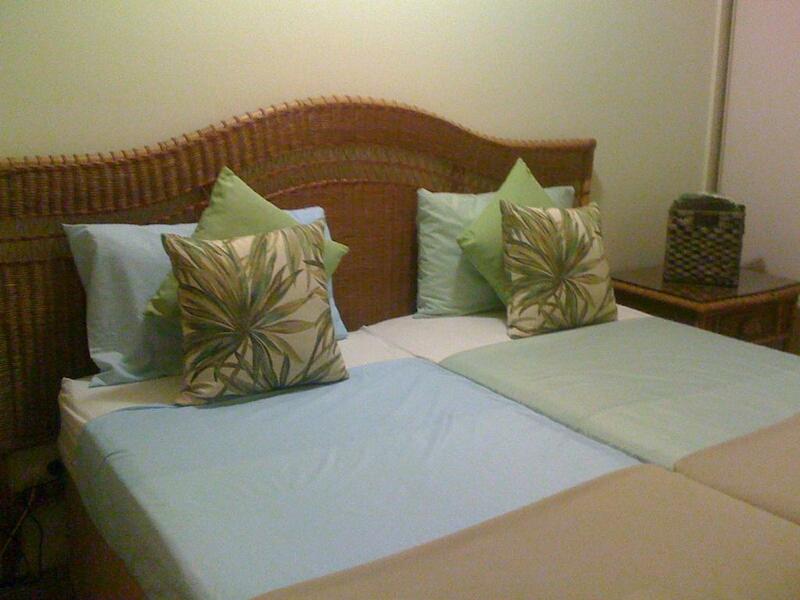 Had a fabulous time and apartment was spacious, clean and in great condition. Staff were helpful and we loved the different types of pools in the resort which were all close to our apartment-a top floor appartment privately owned by Ana and we got great value for money. The location is about 7 mins away from Cairns but we had a car anyway and itwas quieter than staying in the main streets. Stairs were not an issue for us, even with the cases, because everything else was just what we wanted. Would come back at any time. Thanks.